Lots Of Other New Items Added Within The Different Sections! NOT ENOUGH HOURS IN THE DAY TO ADD EVERYTHING TO THE WEBSITE SO WHY NOT COME AND TAKE A LOOK AROUND. LOTS OF GREAT PIECES GET SNAPPED UP BEFORE OTHERS GET A CHANCE!!! 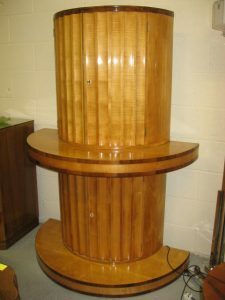 Cloud 9 Art Deco are specialists in original Art Deco three piece suites, Art Deco furnishings, Art Deco occasional furniture and all types of Art Deco furniture. 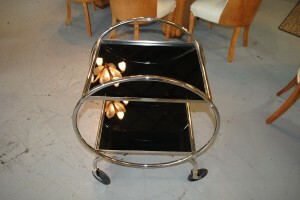 Welcome to Cloud 9 Art Deco Furniture. 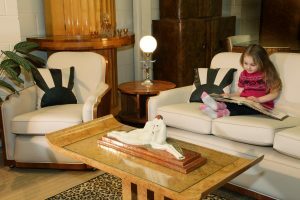 We have one of the biggest selections of original Art Deco furniture in the UK available for you see in our showroom or browse here on our website in the comfort of your home. 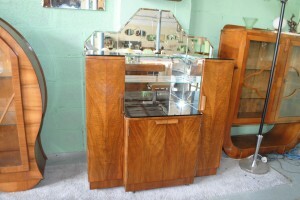 Please click on the buttons above to see our latest stock, for example click Art Deco Seating Stock to see art deco three piece suites, art deco sofas and art deco armchairs etc, Art Deco Furniture to see art deco dining suites, art deco cocktail cabinets, art deco coffee tables, art deco sideboards etc and Art Deco Decorative pieces to see art deco mirrors, art deco lamps, art deco figures, glassware etc. 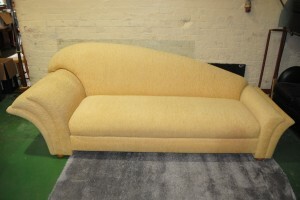 In the archive section you can see amazing examples of finished upholstered and restored items done for our customers. You can also use the main Art Deco Furniture navigation buttons to browse for ideas or the kind of Art Deco furniture you are looking for. Photo taken by Lancashire Life Magazine. 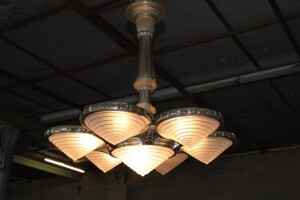 Cloud 9 Art Deco specialise in locating and supplying your ideal, top quality Art Deco three piece suites, Art Deco dining room suites, Art Deco bedroom suites and even Art Deco garden furniture. 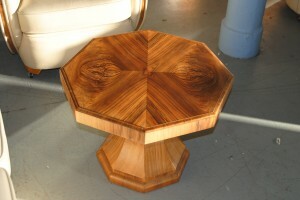 In addition, we source and supply a range of Art Deco occasional furniture, including Art Deco coffee tables, Art Deco hall tables, Art Deco dining room tables, Art Deco display cabinets, Art Deco cocktail cabinets and other Art Deco accessories. Cloud 9 Art Deco currently stock the largest selection of original 1920′s, 1930′s, 1940′s, upholstered art deco furniture in the UK. Some of our stock has already been re upholstered in the finest natural grain leathers and is available for immediate delivery to our customers nationwide but most are waiting for customers to choose their own colours for the upholstery making them totally unique. 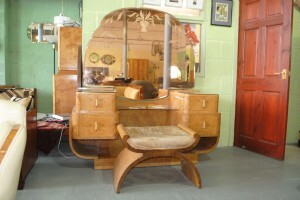 Please see our archive section or customer comments to see customers finished upholstered Art Deco suites etc. 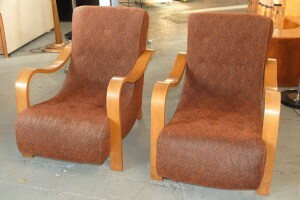 We stock, Art Deco bedroom chairs, Art Deco easy chairs, Art Deco club chairs, Art Deco bentwood chairs and Art Deco loungers etc. 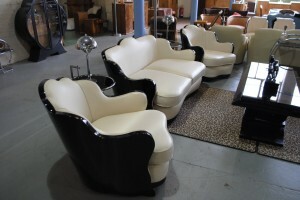 Not forgetting the largest selection of Art Deco three piece suites to be found anywhere in the U.K. 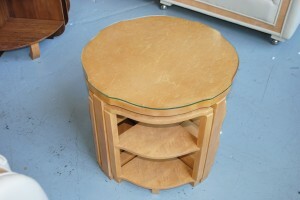 Selected items of our current stock can be offered in its original condition. 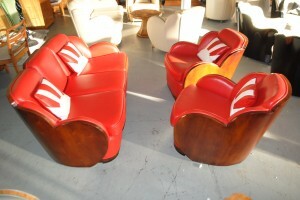 Go to the Cloud 9 Art Deco seating stock to view our suites. To compliment our extensive stock of Art Deco suites, we also carry a wide variety of Art Deco furniture, to grace any room in the house and even the garden. 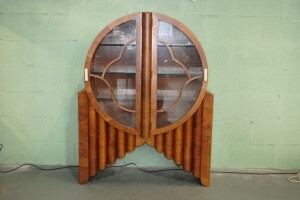 Our stock of original Art Deco dining room suites, Art Deco bedroom suites, Art Deco display cabinets, Art Deco drinks/cocktail cabinets, Art Deco coffee and occasional tables, Art Deco bookcases and Art Deco bureux etc., can be viewed online by clicking on the link below. 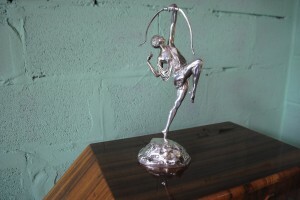 We also have a section on this site where you will find all of those items to set off your Art Deco room perfectly, from an Art Deco mirror, Art Deco lights and Art Deco lamps to Art Deco figures. 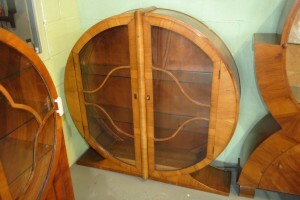 We also have Art Deco clocks, Art Deco prints and Art Deco glassware. We are acquiring these smaller Art Deco occasional, decorative furniture items daily so please keep looking to be the first to see our newly added pieces. 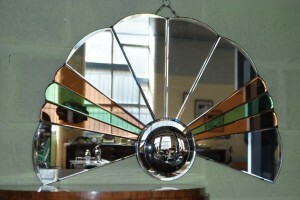 Go to Cloud 9 Art Deco Decorative Pieces. 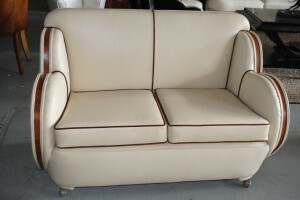 Our trade at Cloud 9 Art Deco is re-upholstery and re-polishing. We have 40 years of experience and we specialise in the re-upholstery of Art Deco furniture to your personal specifications. Why not let us create something special for you! Select your Art Deco suite or furniture piece from our stock and have it upholstered in the material and colour of your choice and repolished, all beautifully and professionally done in our own workshops; a service we believe to be unique. To see a couple of before and after photos please click here. Our archive section shows a selection of our past work. This is where you get to see not only some of our stock that has been sold but also three piece suites and armchairs that we have reupholstered to customers specifications, just to give you an idea of what can be achieved with all of our Art Deco seating furniture. 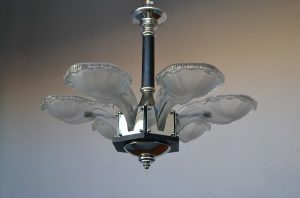 Click here to go to our cloud 9 art deco archive section. At Cloud 9 Art Deco we also buy genuine, original Art Deco furniture, Art Deco seating furniture and Art Deco decorative pieces. 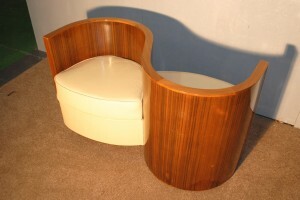 In some cases we may take your old Art Deco settee and Art Deco chairs in part exchange for any of our Art Deco suites. 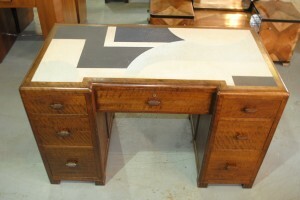 If you have Art Deco furniture to sell we may be interested in buying your Art Deco furniture. If you are looking to sell your old Art Deco, we offer good prices – call or e-mail us click here to contact us about buying your furniture. 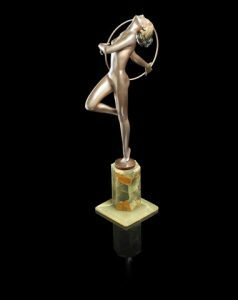 We are constantly updating each section of this site, adding new stock, so please keep coming back to view our Art Deco stock or register with us. 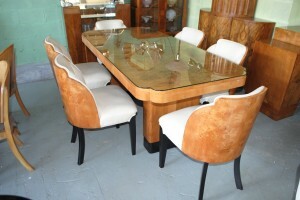 You can also see new photos of our 4000 square foot Art Deco furniture Showroom and warehouse . Should you see anything on our site that you are looking for, whether sold or not give us a call and we will be happy to help, as we always have stock which is still to go on to the site and may have a piece in stock that you may be interested in. Thank you for taking the time to browse our stock. If you are looking for something in particular, let us know what you are looking for and we will use our extensive list of contacts both here and abroad to find the perfect piece for that special place in your art deco home. Simply call or e-mail and we will always do our best to find it for you or alternatively why not email us and let us know what you are looking for as. We can add you to our mailing list. If you would like to see our huge, current stock of original Art Deco three piece suites and art deco furniture, you can do this by visiting our 4000 square foot warehouse and showroom at Douglas Mill, Bradley Lane, Standish, nr Wigan, Lancashire, WN6 0XF in person (by appointment only) See Map. Just phone and ask for Gordon or Donna and we’ll let you know when we may be in your area. 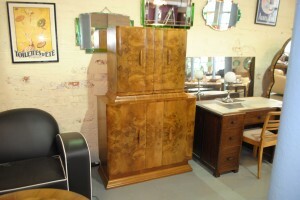 We are due to take delivery of some more amazing furniture in the coming weeks so please keep checking back. Please let us know if you are looking for that special piece. 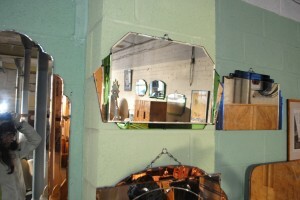 Why not visit our fabulous showroom/warehouse ( view by appointment) to view our enormous stock. Our warehouse is open to the public by appointment at any time including evenings and weekends and now features an added showroom. 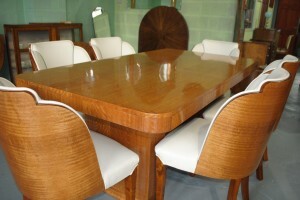 We have the largest stock of original art deco dining suites to be found anywhere in the UK at the moment. We are taking a break from the art deco fairs. The reason for this is because this website is extremely busy and we need to devote our time to that. However we travel all over the UK delivering and collecting on a regular basis so it is highly likely that we will be in your area sometime soon.